Why is criticism of Evolutionary Economics so passionate & polarising? Passion and fervour abound as economists, scientists, political analysts and religious believers debate the idea of universal Darwinism - there is no comfortable consensus - even Darwin's fundamental theory of biological evolution is still rejected by many and then, for most, it is a leap too far to apply the process to human decision making. "The future is an unknowable, uncertain, unpredictable, indeterminate reality. Economics is a descriptive fantasy and not an orthodox predictive mathematical science. Darwinian theory does not apply to economics." ... and the differential survival of pre-existing variants and the non-linear maths of Darwin's Complex Adaptive Systems is not orthodox and easily describes the process. "Human activity is too complex for rational understanding. Economics is only a theory, based on 'unrealistic assumptions' and 'cause & effect reductionism' with 'no moral foundation' ... ignoring 'free will', 'human intentionality', 'cultural learning' and the inheritance of acquired characteristics. " 'given birth to emerging disciplines based on neuro-evolutionary approaches to human psychology & economics'. 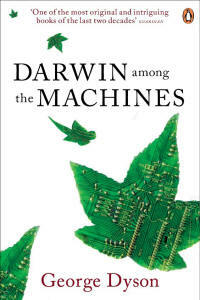 'grotesquely simplifies humanity', 'biological reductionism & gene-determined human behaviour (socio-biology, neuro-Darwinism & evolutionary psychology) and their rather dismal conclusions are my main target', 'the notion of the human being as an aware, self-conscious agent, different from animals is undermined'. 'seen us as unwitting playthings of an immensely complex brain', 'mental activity is entirely subordinated to the requirements of survival'. 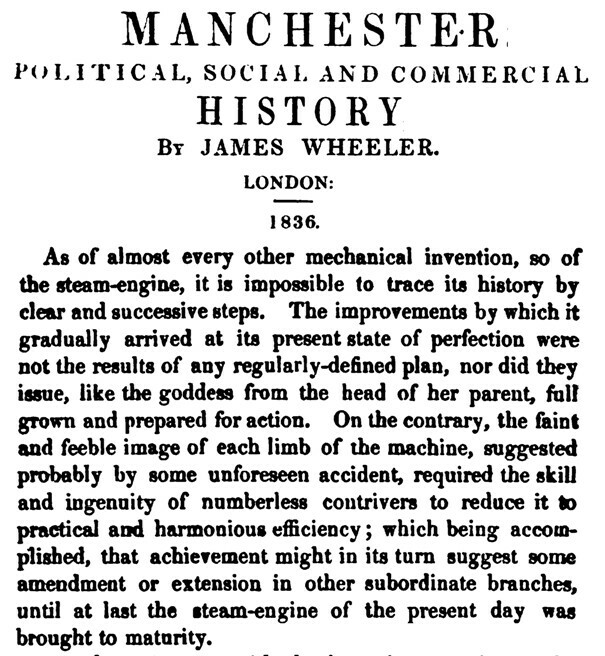 reduced human life to a succession of programmed responses to external stimuli overlooks the complexity', 'distinctively human ends are subordinated to biological givens', 'the Hoover Dam was legislated into place; beaver dams require no such instruments to bring them about' ... 'the blind watchmaker has acquired eyes' ? ... and nothing can stop Darwin's evolution. The Laws of Nature evolved they were impossible to repeal ... by God? "Normative moral sentiments confront nature red in tooth and claw. The rational hard nosed self interested economic theory has little to contribute to normative moral sentiments which should dominate policy choice. 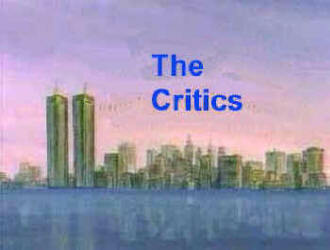 Economic theory cannot be applied to moral human behaviour." 'scientific arrogance is a faith that physical science is the answer to all our terrible questions, reducing our direct, everyday experience of reality into terms of something more distant, preferably involving statistics and where possible machinery. In spite of huge differences between cultures, all we know about human behaviour shows that it can be understood only by reference to people's own thoughts, dreams, hopes, fears and other feelings. This is not something invented by a particular culture, it is universal'. ... and admitting ignorance is a prerequisite for experimentation ... Darwin's process of natural selection is a trial & error process which discovers the universal empirical evidence as amendable Laws of Nature; . "Choices are self conscious human intentionality. Human behaviour is mediated by deliberate, rational, purposeful, intentional plans and intelligent designs which are not part of the evolutionary process. Human intentionality is explained by alternative creationist theories of design." ... and difficult debates are resolved only by empirical science there is no evidence of any alternative. The evidence supporting the evolution of Complex Adaptive Systems of human behaviour ... relentlessly mounts ... a complex whole shebang & caboodle of universal Darwinism. Evolutionary explanations for economic growth seem more and more plausible ... and no alternative scientific theory of change exists. These robust empirical elements are absent in alternative a priori knowledge acquisition systems and learning is faster as experimental evidence becomes available for analysis. Economic activity in cultural institutions seems to become more complex & more responsive, more & more adapted to changing environments. Patterns of statistical uniformity emerge from around the world and scientific method suggests the process is not random, but a process of emergence in complex adaptive systems - alternative, less responsive, wealth creation strategies don't survive. provide unknowable 'causes' for the immense complexity of economic growth. Adam the Smith (moral sentiments & invisible hands) anticipated Darwin's ideas. He was a moral philosopher who wrote about the moral sentiments of social market exchange between cooperating folk doing deals of mutual benefit. He did not write about individual selfishness. Charles Darwin believed natural selection was applicable to human behaviour, what survived was what helped survival. He explained the origin of social animals; he did not suggest social folk were involved in a rat race of survival of the fittest; red in tooth and claw. 'Economic growth depends on the growth in human knowledge, both in terms of what is known (the science) and who does the knowing (the learners). 'Know how' for genial niche construction results from synergies of specialisation & scale (cooperation) not by theft from others (confiscation). Genial niches are constructed by blind variation and selective retention'. Before 1859 there was no evolutionary theory, everybody accepted intelligent design, however since Darwin there has been a constant stream of empirical science that has provided the supporting evidence to refute the doubting critics. After many false dawns and wrong turnings some evolutionary economists ... like Joseph Schumpeter (creative destruction), Herbert Simon (satisficing), Donald T Campbell (blind variation & selective retention), Daniel Kahneman (thinking fast & slow) ... and many more ... eventually to 'include in' all ... started to embrace empirical science and move the descriptive linear maths of old economics to the non-linear maths of evolutionary economics. The Brights identified 70 scientific references summarising progress on understanding the behaviour of social animals. 'Darwin’s idea is truly, madly, deeply difficult. But it is also simple & compelling to those who understand it, utterly true, immensely sophisticated ... and extremely relevant to the modern world. intentions of consciousness - are not what they seem to be! 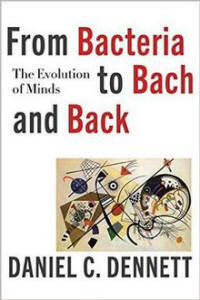 But a golden thread of better understanding is not inevitable Panglossian progress ... there is a caveat - the muddy waters of evolutionary economics are complicated by the Darwinian reality that along with wealth creation, inevitably come parasites & predators ... great men were often misinterpreted. The great achievement of evolutionary economics has been to identify a precise process by which imperfect competitive global markets in 'know how' can efficiently & equitably ameliorate some individual problems through synergies ... without harming others. Our own study of family history, science, music and evolution suggests we can understand the immense complexity of the behaviour of our great grandfather because we have direct experience of the same universal emotional feelings ... we know Darwin's process of natural selection produced diversity, complexity and emergent phenomena ... and thus a humbling ignorance ... about the future ... and about interpretations of the past. But all is not lost; we can learn. Criticism of economic science becomes unsustainable if the consequences of evolutionary economic behavioural strategies is a drop in infant mortality? Copy - Imitate success & copying is not theft but flattery. Vary - Diversity & difference are not waste but experiment. Select - Natural selection & death are not choices but outcomes. A pre-existing inherited variant with a survival advantage in the local environment will always increase in population frequency as alternative variants die out, thus changing the environment which then inevitably feeds back and influences the survival chances of any new variant. In 1976 Richard Dawkins gave us the 'necker cube' insight, and sussed out evolutionary economics. The Necker Cube illustrated conflicting points of view, two ways of looking at familiar things like natural selection. 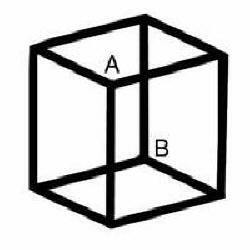 There existed 'a view from above' bias; more people, more often looked at the cube from above and saw point A as nearer than B. This was a 'design bias' ... after all it was most often imagined that God designed the world from 'above'? 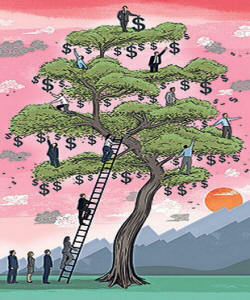 'A different view provides a deeper understanding of economic strategies for minimising costs and maximising benefits. Genes manipulate the world and shape it to assist their replication'. It was 'as if' genes with eyes did cost / benefit analysis and constructed niches which changed the environment and fed back and effected the survival chances of the genes, thus reinforcing any predispositions towards survival behaviour. Social animals discovered synergies of specialisation & scale. Step by step the compound interest of genetic cooperative behaviour evolved and eventually became hard wired in the involuntary chemistry of endorphins, oxytosins and prolactins. Chemical sanction & reward systems ... ? ... give me a break ... it was all very difficult ... especially when the Boeing 747, just like James Watt's steam engine, evolved through natural selection not intelligent design ... intelligent design is natural selection ... honest ... what else could it be? 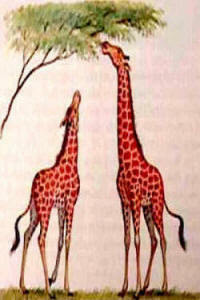 The giraffe's long neck has no meaningful 'cause' it emerges from the death of short necked giraffes. And there is no known physical way that deliberate stretching, rational logic, purposeful entreaty, intentional instruction nor planned design by the most intelligent can make it thus. Sparrows we see living today construct nests because pre-existing genetic variants from the past differentially survived and accumulated. The ancient sparrows that didn't build nests died out. There is no evidence of any supernatural intelligent design alternative. Folk we see living today constructed Boeing 747s because pre-existing imaginative variants from the past differentially survived and accumulated. Different species, different behaviour, different niches but the same vary, select, copy process. The chances are your children will be slightly less intelligent than you and yours but the chances are your grandchildren will be slightly more intelligent than you and yours? 'The overwhelming majority of genetic mutations will be damaging. But those children who survive to reproduce will likely be slightly more intelligent than their parents and transmit this slight advantage to their own children'. ‘In the distant future I see open fields for far more important researches. Light will be thrown on the origins of man and his history’. 'Some individuals are better able than others to draw the right conclusions about the world about them and act accordingly. These individuals will be more likely to survive and reproduce so their pattern of behaviour and thought will become dominant'. ‘The key to doing well lies not in overcoming others but in eliciting their co-operation. Individuals don’t have to be rational; the evolutionary process alone allows successful strategy to thrive, even if the players do not know why or how. No central authority is needed, cooperation is self policing’. 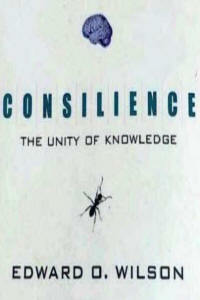 'We are ignorant of what it is we do not know even though we know more than we can ever say'. 'That people are selfish and that businesses pursue profit is not the fault of economics but of human nature'.